Qualified Stabyhoun judge and Stabyhoun breeder, Angélique Plasman explains what all the fuss is about and points out why accepting your dog’s invitation to Holland is so important for the breed. In the 1940s the Stabyhoun breed was on the verge of extinction because the area it originated from became less secluded and people began mixing the stand-by-me dog with other breeds. A few men who saw the danger of this distinctive dog disappearing, turned the tide by getting the Stabyhoun recognised as a purebred in 1942 by the Dutch Kennel Club (Raad van Beheer). The founding of the breed association (NVSW) in 1947 secured the preservation of these wonderful dogs. It is thanks to a couple of visionary men as well as the NVSW that we can still enjoy their lovely company today. Today we estimate there are about 6,000 Stabyhoun worldwide and associations are established in six other countries. But we can’t afford to sit back and rest on our laurels; the Stabyhoun still counts a very small population and is considered a rare breed. The work of the associations globally remains, quite literally, a matter of life and death. In order to maintain a healthy and vital breed, breeding rules are strict and we monitor the population to be able to take action when needed. One of the things that aid in keeping a close eye is the Breeders Day. Twice a year the NVSW organises this event where all Stabyhoun litters born 12 to 18 months earlier are invited. We try to get them as complete as possible: sire, dam and all puppies (who are not so small anymore by that time). Usually around 30 litters are present and as many as 80% of the invited offspring attend. All individual dogs will be assessed by a judge who will also review the litter as a whole: what particular traits did mum and dad pass on, and was it overall a good combination? Together with the invitation to the Breeders Day, a questionnaire is sent to all owners, asking all sorts of questions on how the first year went and if there have been any health problems. We’re happy to see a very high return rate on this survey. Together with the judge’s assessments, the questionnaire enables us to monitor the development of the breed over the years. They are important tools to maintain and ensure the health and quality of the breed. 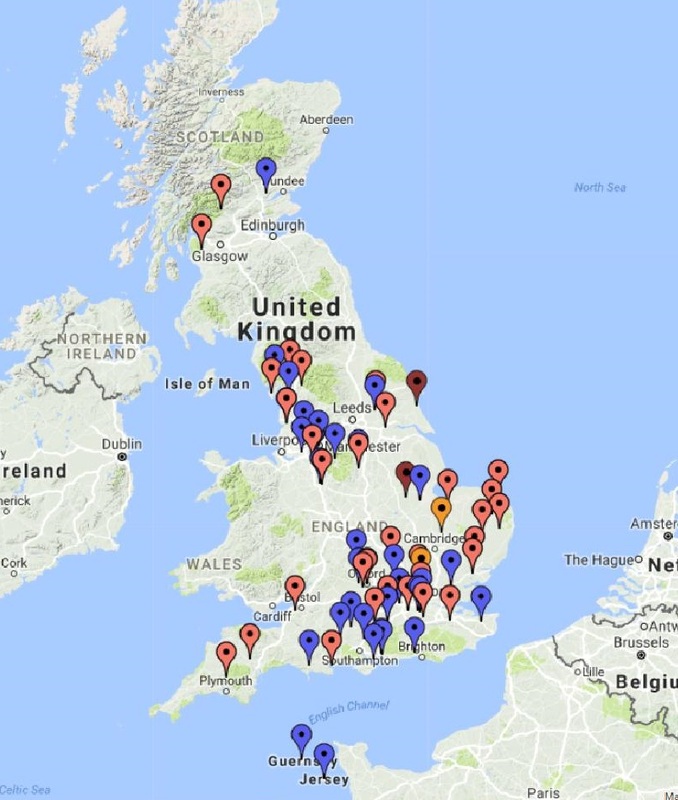 All these details are food for our database, ZooEasy which holds information on all registered Stabyhoun known to us, dating right back to the founding of the breed in the 1940s. What to expect when invited: fun! 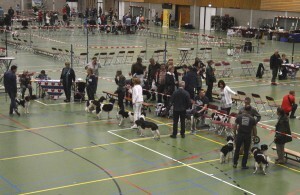 The day is held in a sports hall in which show rings are set up, just like a regular dog show. Try to imagine a hall filled with hundreds of black and white (and a few brown and white) dogs, and then imagine the sounds… wrong! You’ll be surprised at just how little barking is heard. Even though the Stabyhoun will guard their turf and loudly express when something is out of the ordinary, they’re pretty much softies outside of their territory. They usually prefer to wait and see which way the cat jumps. Around each ring, the breeder of the litter, the stud owner and the owners of the puppies will gather. Now that’s where most of the noise comes from! Admiring each other’s dogs, showing off your own, being amazed at how big they’ve grown, catching up on the past year, laughing at the naughty tricks a clever dog pulled… lots and lots to talk about in a merry reunion. Be sure to bring your camera to shoot some pictures. It is a fun day! You will receive an entry number to pin on your clothes. When it is your litter’s turn, you will be asked to line up in a row in the ring: mum and dad will be first and then the puppies. The judge will try and get the attention of each dog for a moment to have a look at their expression and compare it with the others. They will then ask you all to move around the ring at a trot, to see how well all the dogs move. After that each dog will be assessed individually. This is where having taught your dog to stand and allow strangers to touch them all over comes in handy! The judge will look at your dog’s teeth, feel how it’s built by moving his hands across your dog’s body: fore chest, ribcage, back, loins, angulations, pelvis, length and straightness of tail. The males will be checked to see if both testicles are present. After that, the judge will ask you to go around the ring again (your dog at a trot) and in a straight line away from and towards the judge, so that they can assess your individual dog’s gait. Finally, you will be asked to put your dog in a stand before the judge, while he dictates his report to the writer. Don’t worry if you cannot show your dog like a professional handler; the judge knows and appreciates that many owners don’t have showing experience. It’s a Breeders Day, not an international beauty contest. When all the dogs from your litter have been assessed, the judge will take one final look at them as a whole and write their report. He will then gather everyone around to share his observations and evaluation with you. They are usually very good at translating the summary here so don’t worry if your Dutch is a little rusty. You all get your reports and then it’s off to the photographer for a group picture. That’s it, you’re done. You can then stay and enjoy each other’s company, go on a walk with the breeder and the other owners, mingle with the crowd and admire other litters, have a look at the NVSW-shop for Stabyhoun merchandise, look at the stud parade around noon, take an aptitude test on your dog’s hunting instincts or watch the demonstration on coat trimming. You can do all of those things, or simply enjoy the show and then rest from a long and tiring, but absolutely wonderful and fulfilling day. Enjoy! 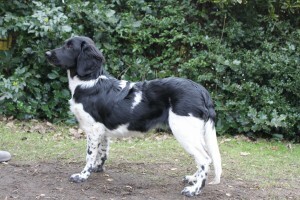 Visit the website of the Dutch Stabyhoun Association (NVSW) for dates of all future Breeders Days (Fokkersdag).